Stuff spreads. I've got boxes, books and papers all over the spare bed, bookmarks waiting to be sliced and diced on the desk, stray books and calendars waiting to be packed on the shelves... and my Mum's arriving next Tuesday! Luckily the bazaar's on Friday and Saturday, so that gives me plenty of time to tidy her bedroom doesn't it??? I'm glad I'm only doing one bazaar this year; Oak Hills usually run a good one. Oh, and there are tons of leaves outside waiting to be raked. Leaves spread too. Someone asked how many books I read in a week. I think it's about six--less if they're long (think Stephen King), more if they're short (like my own Flower Child). Do I speed-read, my friend asked next. But I'm not sure what speed-reading means. I skip bits sometimes, then check back and work out what parts to cut from my novel.Some books grab me so I know I can't miss a word (think Stephen King again). Those are the ones I put on the outside of my bookshelves (two deep, two high... you get the picture), but they're not always the ones that take longest to read. Short books can grab me just the same. Do I read ebooks? Yes, definitely. And what have I read this week? Win a Free Copy of Chill Run! Russell Brook's Chill Run comes out on Thursday. It's the story of a publicity stunt gone seriously wrong, and here I am, coming off my first ever blog tour--the closest I've ever come to a publicity stunt. With classic action, carchases, likeably inept hero, scary enemies, great dialog, zany twists and turns... what more could you want? Click here for my review of Chill Run, and click here for Russell Brook's Chill Run contest. All you have to do is leave your email address by the end of November 30th. Good luck! And enjoy! I love my kindle, but all the same, a book in hand is surely worth two or three on the kindle. It's visible. I notice the cover (kindle books always open at the first page so I keep missing those good pictures). It inspires my family to ask what I'm reading this time (all the more so when one of the covers looks like a favorite board game.) But... thinking of covers... I have to show you the latest cover image for Divide by Zero, my novel coming next summer from Stonegarden. I love it (look, there's even a garnet in her collar!). It makes all the editing feel worthwhile. Meanwhile, here are the real books, with real book covers, that I've read recently, plus coffee recommendations, of course. Thank you to all my blog readers, my book readers, and the many people who've encouraged me in writing. Thank you to my editors at Gypsy Shadow and Stonegarden for their endless patience and the wonderful lessons they've taught me. Thank you to my online friends on Gather, Facebook, LinkedIn, Twitter, Lunch, Google, Blogger, etc. And thank you to my family and real-world friends in England, the US and beyond. Above all, thanks be to God for His wonderful gifts. Today I'm privileged to welcome Ashley Dawn, author of Shadows from the Past, to my blog. You can find my review of Shadows from the Past here--one of the first books I reviewed online! It's lovely to read Ashley's post and learn some more about her. I wish you all the best with your Shadows books Ashley. And thank you for visiting my blog today. Post the timeline next to my computer. Print it out again whenever it changes. My editor wasn't sure how the timeline worked in my novel, so I've been checking and fixing it. Events that took two years in the original draft clearly happen in one year now, which means the girl driving to the Christmas dance is only 15, which means I have to move her birthday back from January to November... Arhghghgh! So many mistakes! But it's coming together and I hope to meet my deadline--the end of this week. If I meet it by Thursday I'll have something extra to be thankful for. But I'm certainly thankful for a good editor who spotted the problem and gave me the confidence to believe I can fix it. pdfs can be a pain when the fonts keep changing size. For all the CEO talk about creativity being the number one leadership competency for the future there’s a decline of creativity in America. But, there’s a well kept secret. What is that secret you ask? The secret is creativity can be taught. Yes! It's the Gratitude Blog Hop, courtesy of WoMen's Literary Cafe. I'm thanking Melissa Foster for sharing this wondering post. And for offering a free book--read on to find out more (and leave a comment with your email address). In fact, lots of authors are offering free gifts today, so just follow the links, enjoy some wonderful posts, and add these gifts of Gratitude to your reading list. If you are following our blog hop, then you are reading many blogs about gratitude. I’m going to present this one from a little different slant. Enjoy! G – Giving without expecting something in return is the best gift of all. A – Appreciation can be shown in many forms; a smile, a thank you, a gift, or even just a wave. It’s easy to do. Reach out, show your appreciation for others. 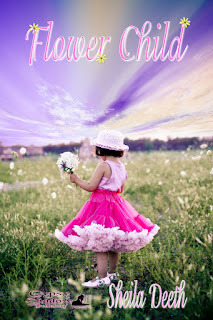 Yes, Flower Child's still out there--ghost or angel--ereader or computer... And here's a bonus stop on the Flower Child blog tour, with an interview brought to you by Jeanz at JeansBookReadNReview: http://jeanzbookreadnreview.blogspot.com/2011/11/author-interview-sheila-deeth.html. Many thanks Jeanz, and I wish I knew how you do those neat scrolling buttons! Hope to see you on on Jeanz' site. I'll check in during the day to answer any questions you leave for me. Meanwhile don't forget to check out some more of Jeanz" great reviews and interviews on the rest of her site. An ocean of leaves is lapping at my door and the cupboards are growing suspiciously bare of cheese, but I got the manuscript back from my editor yesterday, so I've other games to play. Here, for anyone interested in editing their own writing, are some of the things I've found I have to work on. Who knows, they might apply to you too. I'm delighted to welcome author Jill Martin to my blog today. I reviewed her delightful board book Froggy Boots go with Everything yesterday, and today she's here to answer some questions. So, where did the book Froggy Boots come from, and who is it written for? I'm still not sure how it got to be November. Doesn't that mean it's Christmas next month? Not to mention Thanksgiving coming soon? Help! I set myself a target to finish reading my backlog before the end of the year, but I don't know if I'll meet it. Still, here goes with a fairly random selection of books, ideally suited to my (and the weather's) rapidly changing moods. Enjoy reading. Enjoy coffee! 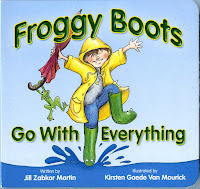 I'll start with a nice little board book: Froggy Boots goes with Everything, by Jill Zabkar Martin. Froggy boots are perfect for splashing in puddles, and this is definitely the time of year to get this for your young one--enjoy reading, enjoy pictures, and the odd drip of coffee will easily wipe off--enjoy a 1-star light crisp cup. Plus... author Jill Zabkar Martin will visit my blog tomorrow to tell you more! Don't miss it! Denise Bartlett was my editor for each of my Gypsy Shadow books. 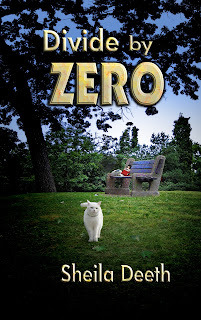 Shirley Anne Howard is reading my novel Divide by Zero at the moment, as my editor for Stonegarden. And I couldn't be happier. Why do I love my editors? c) remembered to use them. Anyway, if you've time to wander, I'd really appreciate any comments on the new stuff. A little romantic reading for Guy Fawkes night? I'm still trying to work out how to post my blogtalkradio interview on my blog--I probably need to read more how-to-do-it articles, but instead I've been reading novels and story-books, trying to catch up on my reviewing backlog. If you want to listen to me talk about Flower Child (and many other things), just follow this link http://www.blogtalkradio.com/anjuellefloyd/2011/11/02/author-sheila-deeth. BLOG TOUR: Blogtalkradio interview TODAY ! HELP! I'm on internet radio today, talking on a telephone (never my favorite thing) about Flower Child and whatever else comes up. I'd love to hear from you. No, I'm not asking you to pay for my blog tour, but there's a lovely book called Come Back to Me being released today with a great 99 cent deal. Head on over to The Women's Literary Cafe and you'll find that's not the only deal--a fantastic launch party and really good read. my review of Come Back to Me. Then go on over and enjoy the party! http://www.womensliterarycafe.com/ for the 99 cent book event, and http://www.melissafoster.com/ for more about the author, plus a really neat video trailer!